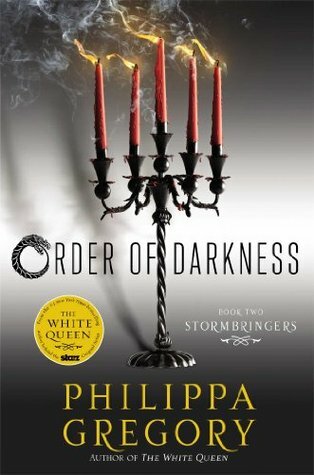 About the Book: The second book in a YA quartet filled with intrigue, mystery, and romance, from #1 New York Times bestselling author Philippa Gregory. The year is 1453, and the end of the world is closer than ever. As Luca and Isolde continue their journey, their attraction grows with each passing day. Even as they try to remain focused on the mysteries they’ve been ordered to investigate, the tension between them builds. Their budding, illicit relationship is put on hold when a boy, Johann, and his army of children arrive in town. Johann claims to have divine orders to lead the children across Europe to the Holy Land, and the townspeople readily accept his claims. Luca wants to believe, but his training tells him to question everything...but when Johann’s prophecy begins to come true, Luca wonders if they have finally stumbled upon a real miracle. Yet even the greatest miracles have the potential for darkness…and the chaos that follows Johann is unlike anything anyone could have imagined. Notes and Opinions: Brother Peter is still an annoying twit and Ishraq is much more awesome than in the first book. In fact, this is the book which will help you understand why it is I love her so much. I love that she played on the legends of the Children's Crusades, deciding to use those as an element of the plot in this story. What I don't love is what she did to said children. You'll understand when you read it. She also gave me a scare with my other favorite character, Freize, which was DEEPLY unappreciated. While not everything in this series is accurate, it's because she has opted to mix in tidbits of actual history with a tiny hint of a magical feeling and plenty of fictionalized elements playing off of legends and stories currently believed to be more fiction than fact. I like that she's taken these liberties, though, because it's made the books engaging enough for me. Go Into This One Knowing: Just ignore the ravenous nay-sayers who clearly would be better off avoiding historical fiction altogether.